So how are your summers going? I hear that some of you have pretty bad weather where you are… I hope you are managing alright! Here in SoCal, it’s not too bad. A little hot sometimes, but nothing a fan and a little AC can’t solve. Hope things are going great for you all! Mix the tuna, hard boiled eggs, celery, relish, dill, mustard, and mayonnaise together. Season to taste with salt and pepper. 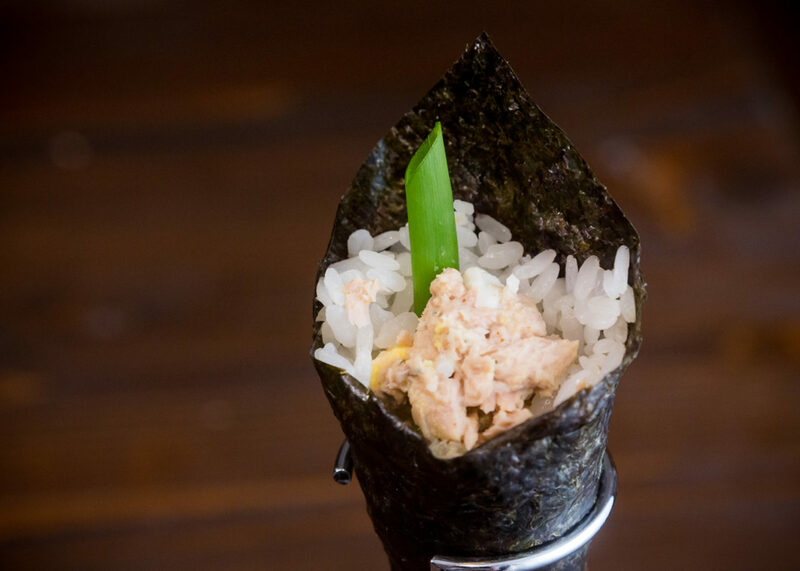 When you are rolling the temaki, put a line of wasabi on the rice before you put the ingredients down. 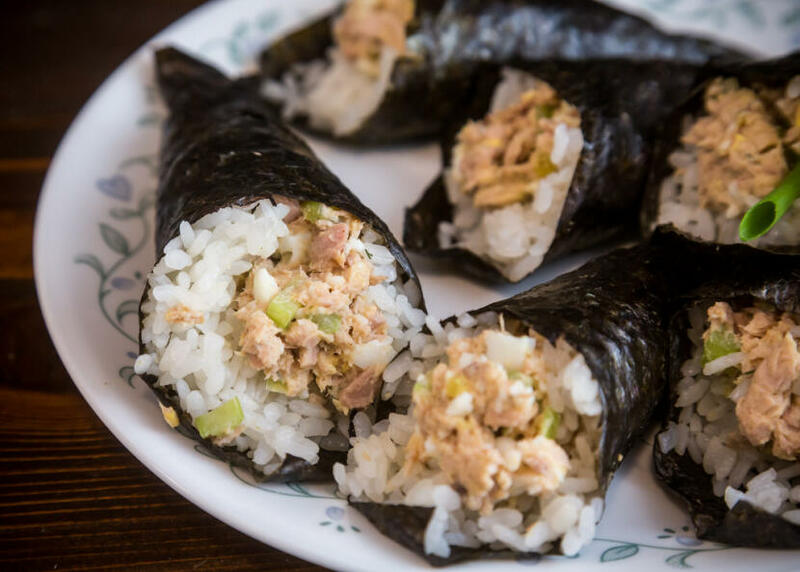 Then roll the temaki sushi, using about 1/4 cup of tuna salad and one green onion, broken in half, as your fillings. Mmmmm, this sounds so good. Good call on the addition of green onions- sometimes, if not usually (well, when I remember), I like to add white onions to my tuna salad. You’re making me so hungry~! Thanks for the shout out and glad you liked the recipe!!! Yvo – Loved it! 😀 Yeah the green onions were really good in it! Amy – Oh wow that sounds really cool! I have never had sushi like that… mind if I steal the idea and post it up here sometime? Yum! Be my guest! I think it’d be fun to try. 🙂 It might take a little trial and error to get it to stick together just right but if anyone can do it it’d be you!